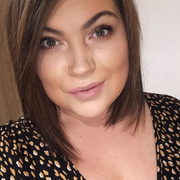 Hello lovelies, I've been mia again, I'll explain why soon but for now another toy review haha! 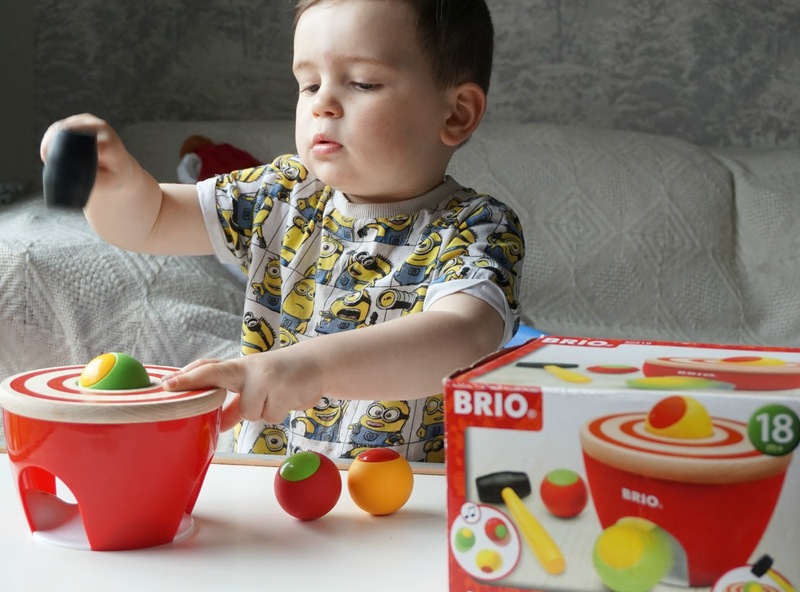 My blog is looking like a toy reviewing site at the moment, although that isn't bad my kids love toys and we all love reviewing them I want to bring the normal me back soon, beauty, fashion, lifestyle etc but recently we were kindly given another Brio toy. 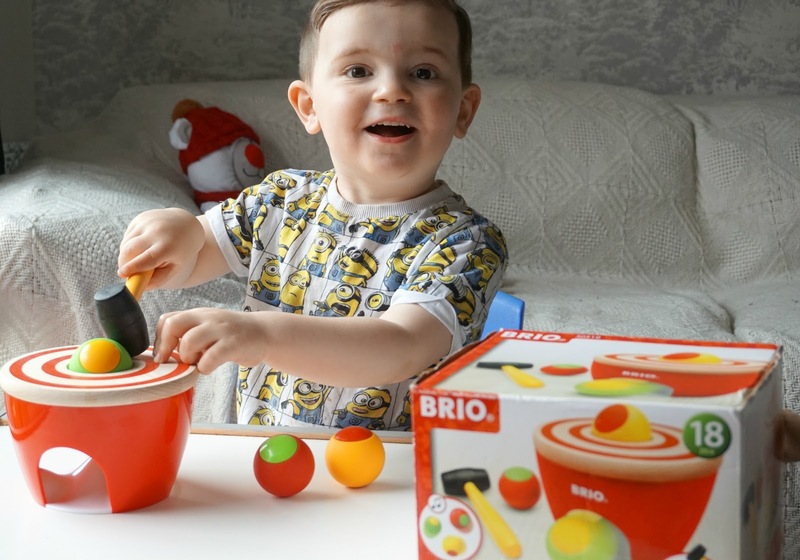 Lawson and Oscar love their Brio toys, they are so well built and no matter a temper tantrum and a throwing here or there they still stay intact! Lawson has been loving this ball pounder, I mean which child wouldn't like banging a hammer? I love how colourful the toy is and its great for hand eye coordination. Lawson loved the sound the toy made when he kept banging the colourful balls and seeing which slot it would fall out into, I've been practising his colours with him whilst we've been playing and counting to three. This toy is suitable from 18 months, where the child is starting to focus more and great for their motor skills. I would highly recommend this toy for your little ones, it's not a noisy toy despite the hammer and balls and will keep them entertained for ages. Yes. This is really good toys for Any baby. BRIO BALL is some babys favorite Play.